Part-time hiring is at its peak right now, and if you play your cards right, your holiday season can be one of both giving and taking! Straight out of college, I was thrilled to land my first job teaching kindergarten through eighth-grade music. It was perfect. Except…I still needed to earn extra money. The job was part-time. Like many recently graduated music teachers, there were not many options except a $20,000-per-year job in which I only worked about 25 hours per week. While I thought I could make it work, I was back to living on ramen noodles by September. It definitely wasn’t what I had envisioned my post-college professional life to be. I was skeptical at first. I had a college degree, after all! Plus, I was a teacher who was pretty darn good at her job, if I do say so myself. Why would I want to work a seasonal retail job in my off hours? Well, let’s just say that my rumbling stomach and my need to pay rent won out in the end, and I took a job working as a cashier at one of the busiest stores in the United States. And I even added more work as a singer in a caroling troop and jazz band. I was a non-believer at first, I ended up making an extra $10,000 in three months! Let’s start with the obvious: you’re going to work more. In my case, I worked my teaching job three days a week for 20 hours, cashiered for another 30, and then took gigs most weekends for an additional five to 10 hours. That’s nearly 60 hours of work per week. While that’s totally doable for single ladies like I was at the time, today with a family and a strict sleep schedule, I couldn’t handle that. You will also inevitably miss out on some of what the holidays can mean – especially the parties and get-togethers. Sure, some stores are revolting against forcing their seasonal employees to work on Thanksgiving and Christmas Day, but unless you’re lucky, you can almost guarantee that you’ll be putting in hours while the rest of your family and friends open presents or stuff their faces with pumpkin pie. Missing out on traditions or not seeing the look on your kid’s face when she gets her presents can be an extremely depressing reality. On the other hand, there’s the money. In just three short months, I made enough money to supplement my part-time income and pre-pay my rent for the next year! Income from my music gigs meant that I got paid in cash (though I did have to claim these earnings on my taxes), and I didn’t have to wait on paychecks to buy gifts. We’re also talking about a very limited timeline of sacrifice. If you’re not a huge devotee of holidays, seasonal work in the winter could be a huge boom, especially if you’re planning an awesome vacation in the summer or a career switch-up in the busy hiring season. And of course, that money could max out your retirement contributions for the year without dipping into your regular paycheck each month. If you’re ready to take on a seasonal job, get hunting now! Major retail stores, where the majority of holiday work can be found, begin hiring in mid-October through mid-November. Of course, there are other options out there to earn extra money if you’re not into folding sweaters or cashiering. You can work holiday-related jobs such as working Christmas tree lots, photographing kids visiting Santa’s village, or wrapping gifts at shopping malls. 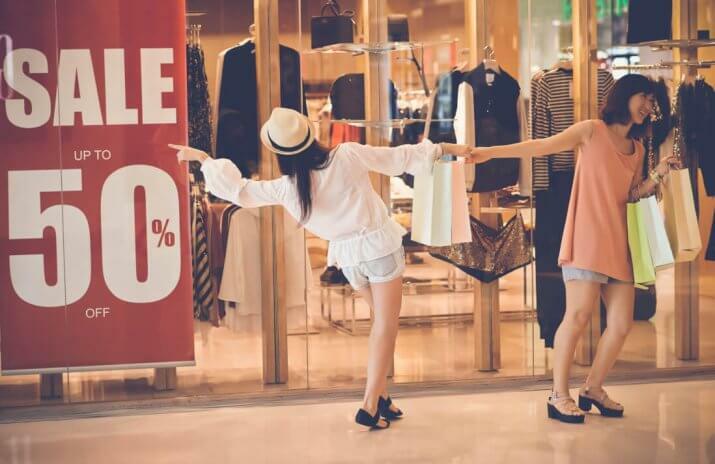 You could also capitalize on the weather and get busy decorating other people’s homes, plowing driveways, or becoming a personal shopper. Other businesses that hire extra employees for the season include restaurants, vacation resorts and hotels, and event planners and caterers. And don’t forget – seasonal work isn’t just for the winter! You can find temporary jobs in your city’s top seasons. That might mean spending a few months leading kayak tours in the summer, or working a food truck during fair season. Whether you make seasonal work your permanent thing, or just sub in for Santa’s elves for a month or two for some easy cash, considering a seasonal job opportunity may just be your ticket to financial freedom. 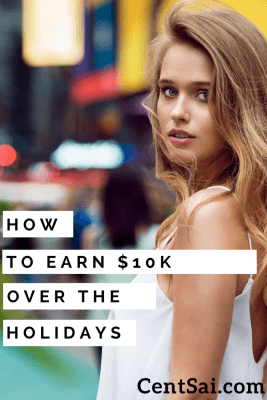 How To Earn $10k Over The Holidays?